19 of April our sweet Ojalka became mother. 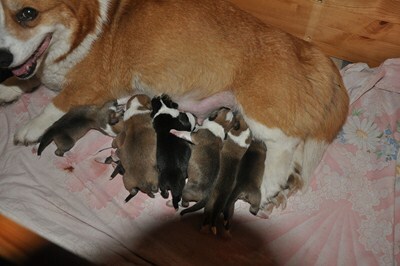 We have 10 beautifull, strong pupies-6 males and 4 females. Two boys are tricolor, 4 boys are red-white and 4 girls are red-white. Pupies feel great,Ojalka is perfect mom. We are so proud and so happy of them. Long time we had no pembrokes pupies in our home.We are so happy to think about so sweet "red babies". This litter will be special for us-we hope to have last children of our sweet star -Ojalka, female,who gave us so many happiness in home and so many nice moments during shows. 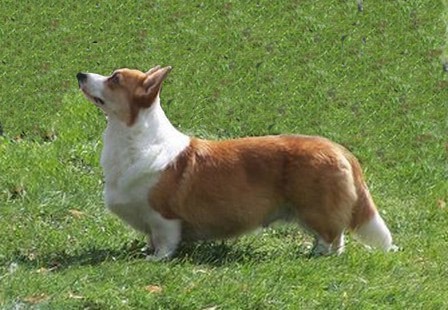 Her perfect anatomy and amazing movement became her not only many times Best of Breed, but also many times Best in Shows. She is mother of many Champions and International Champions in many countries-she gave the best details to children. 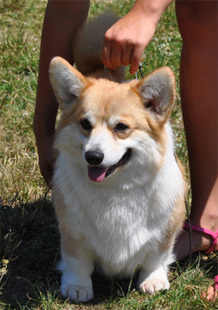 Father of pupies will be Filip,dog with special pedigree-import from GB.This is male with special, beautifull head(strong, male head but also so sweet),good, strong bone and perfect, show coat. We hope pupies will have the best details of parents. We are expecting borning in the END OF APRIL 2012!! !